Exclusively Ours! An Allan Robin Design!! Lead & Nickel Free!! New! 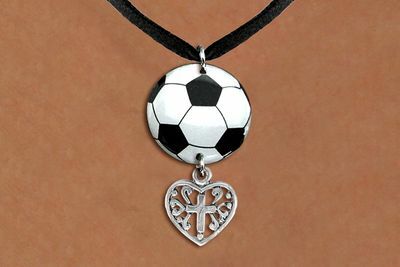 Fully Detailed Soccer Pendant Black Suede Leatherette Necklace. 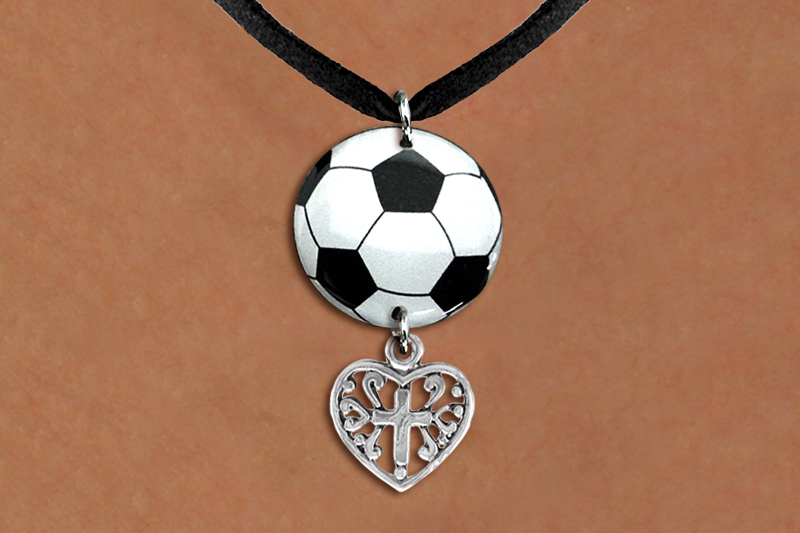 The Soccer Ball Pendant On This Necklaces Has An Epoxy Dome And Dangles A Detailed, Silver Tone [ W509SC ] Cross Heart Charm!